Easy-to-wear shorts for a laid-back lifestyle. 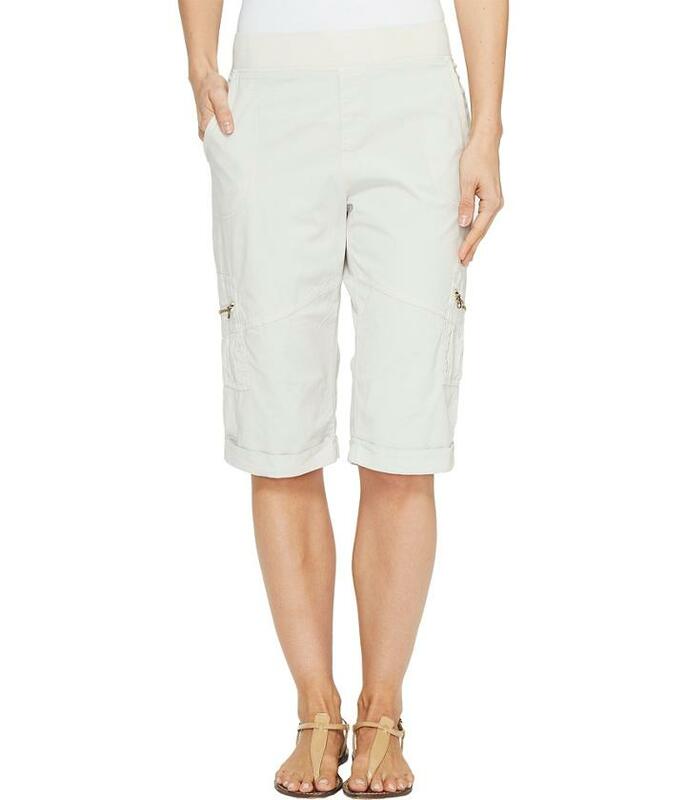 Pull-on bermuda short in stretch cotton poplin. High rise and straight cut. Stretch jersey waistband. Cuffed hem. Front pork chop pockets. Zip cargo pockets. Back yoke. 96% cotton 4% spandex. Machine wash tumble dry. Imported. Measurements: Waist Measurement: 32 in Outseam: 24 in Inseam: 14 in Front Rise: 10 in Back Rise: 15 in Leg Opening: 17 in Product measurements were taken using size SM (Women's 4-6) inseam 14. Please note that measurements may vary by size.